It looks like fans of Kyoto Animation are in for quite a treat next year with the announcement of a new television season of Free!. 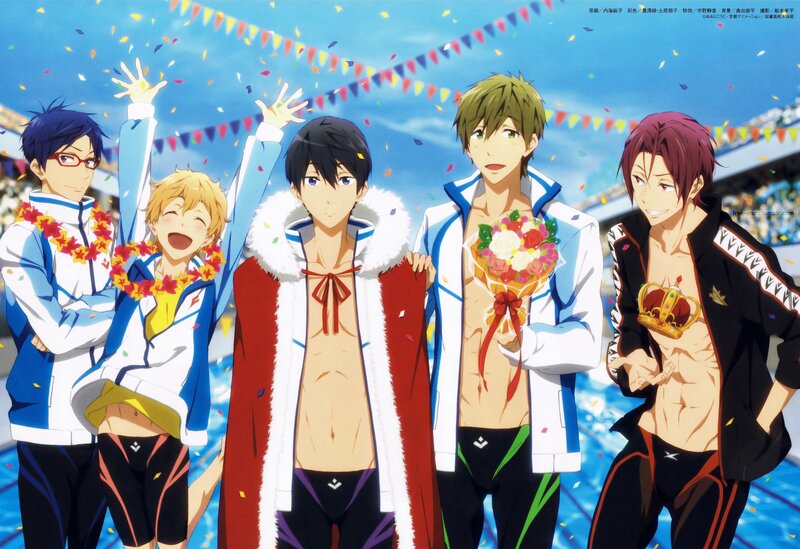 This will be Free!’s third animated television season with Iwatobi Swim Club premiering in July of 2013, and Eternal Summer premiering roughly a year later in 2014. The announcement for this new season comes from the premiere of the show’s third movie, Free! : Take Your Marks, where a teaser image was shown. It was later confirmed by the show’s official twitter account that a new season would be coming in the summer of 2018. Free! focuses on a group of male high school students whose passion for swimming helps them reconnect after years of separation. With this new found connection they form a swimming team for their school and begin to compete. As the show progresses over multiple seasons, the stakes get progressively higher as the boys go from the local to national level and compete to be the best in Japan. While no information is currently available for this new season of Free! the recently premiered Take Your Mark movie has the story focusing on Haruka and Makoto’s graduation from high school. Could this mean that the next step for the boys is to compete for university teams, or will life after high school bring some different adventure? Hopefully we will hear more soon from one of Kyoto Animation’s most beloved franchises. One of Japan’s premiere anime studios, KyoAni already has another anime scheduled for 2018 with their Netflix series Violet Evergarden, which releases in January.